Ask a Pro – Q: What’s your approach to ladder safety? 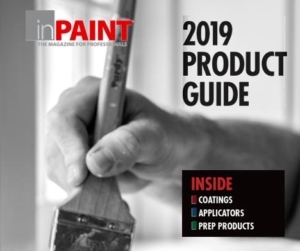 A: My company does interior and exterior painting jobs, and for a good portion of the year, the majority of our exterior painting includes the use of extension ladders. Safety, overall, is number one. Toward that end, I have taken ladder-safety training through the PDCA, and I hold a number of ladder-safety certificates through the PDCA as well as from Werner (a ladder manufacturer) and the American Ladder Institute. Because these are online courses, it’s easy to share my learnings with my team. I cover a lot of the information and show videos on ladder safety for extension ladders and step ladders at least once a month in our company’s weekly ‘tool box’ safety meetings. Whenever we bring on new employees, I always show them how to set up and climb ladders safely and correctly. Even with seasoned guys who know what they’re doing, we do a hands-on demonstration. We cover things like the importance of not overreaching when you’re on a ladder. It’s so easy to lose your balance. We try to drive home the fact that you need to keep both of your feet planted on the ladder. With a step ladder, we start with the obvious: never stand on the very top. We also focus on the fact that every ladder has a weight limit. We teach our guys that when you’re figuring out what kind of ladders you need, based on your users, you have to also figure in the additional weight of tools and paint, as we secure the paint pail to the ladder with a pail hook. After all these years, I haven’t learned anything truly new about ladder safety, but I think it’s important to have a refresher. Working around ladders every day, people can become complacent. 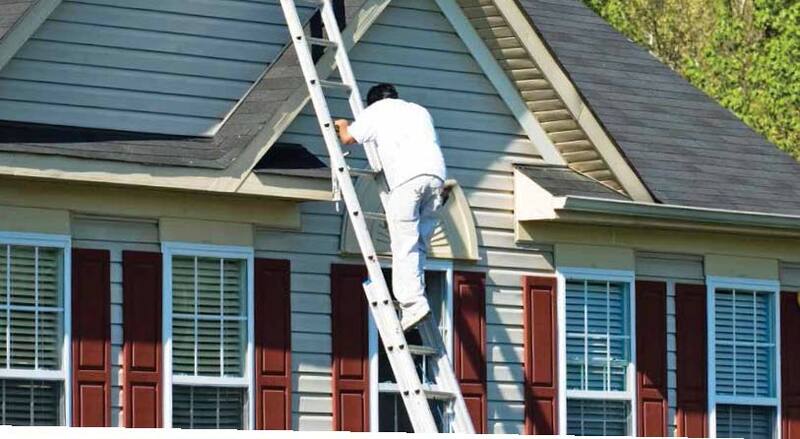 If you’re in a rush and you’re not paying attention, or a ladder is not set up right, or it’s defective—it can fall on an employee or a homeowner. That’s a problem. The safety training benefits anybody on the job or just walking by. Ten years ago, Tom Kellogg ended up as owner of his own painting company, Kellogg’s Painting, after his then-paint-contractor employer abandoned the job they were working on. The homeowner asked Kellogg if he would finish the job. He did, and a few months and a few jobs later, he was able to hire his first employee. He now has three employees who focus on residential repaints and log home restoration in upstate NY. Kellogg also is a certified Sikkens stain contractor.